Price: I purchased an offer of 3 luckyboxes #12, #13 and #14 for $75 including shipping. 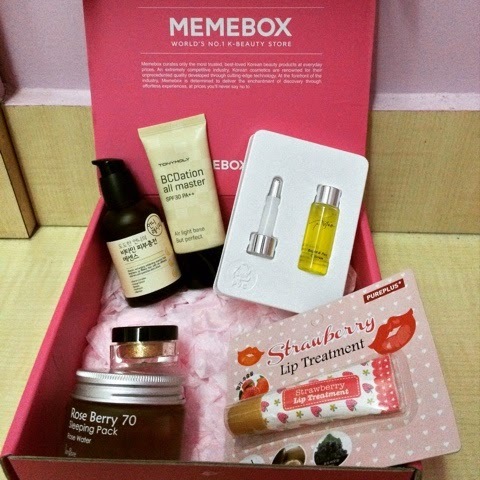 So let us have a look at the products we did receive in Luckybox #12. There are 3 flavours available in this treatment Strawberry, Honey, and Milk. I got the Strawberry flavor which I really did want looking at the other options available. 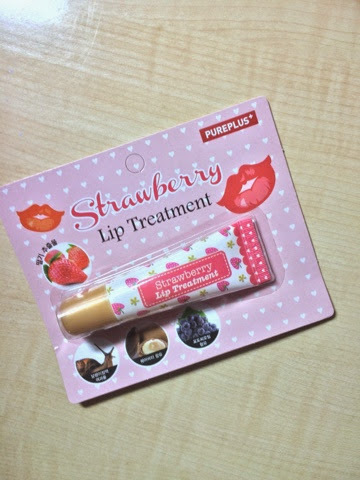 As expected being a lip treatment it is very hydrating in nature. The formula is very sticky and thick which appears to be like a clear lipgloss. The treatment gives a nice prolonged cooling effect after application. I apply it mostly at nights as I am not comfortable to use it due to its sticky nature in the day time. Tried to use it before applying a matte lipstick but that did not work out that well. It has the goodness of water soluble collagen, snail mucin, shea butter, grape seed oil, hyaluronic acid, Vitamin E. The wear time is upto 7 hours plus and it is transferable while drinking and can't survive a meal. The most impressive part about the packaging was the pump dispenser that did arrive with a lid to cover the nozzle while not in use, making is very hygienic. One of the best essence I have used in a while. As usual I was having one of the lazy day and so rather than my usual night routine I decided to use some essence on my face before sleeping. The next morning I would say I was more than impressed with the product, it hydrated my skin, made it soft and smooth. My ideal application process is by using just two small pumps of the essence. It has a light texture that spreads evenly and easily on the skin, as well as is absorbed very quickly by the skin. Would not like to vouch for the fact if it made my skin bright as I am unsure of its effect regarding the same but definitely improved its texture. Liked this product a lot and would definitely give it a thumbs up! 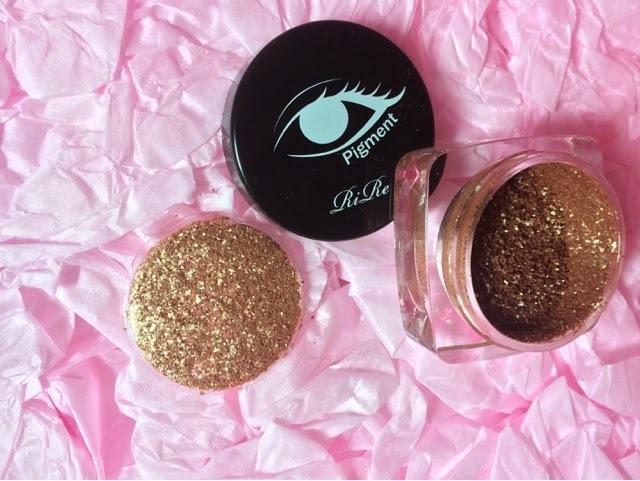 I love bling and this pigment was just the right one for me. This was randomly selected from Gold Clutch, Snow White, Peach Peach, A-Pink, and Club Burgundy. I received the Peach Peach shade. The pigment is super gorgeous. The lasting power is mindblowing. It did stay on my eyes the whole night without flaking. The texture is smooth, fine and powdery shimmer like and even a little of the product is more than enough to cover your entire eye. I had heard a lot of good things about it and I can confirm that they all stand true to its claim. Tip for the day - If you do not have any pigment glue use some clear lipgloss it works equally well. 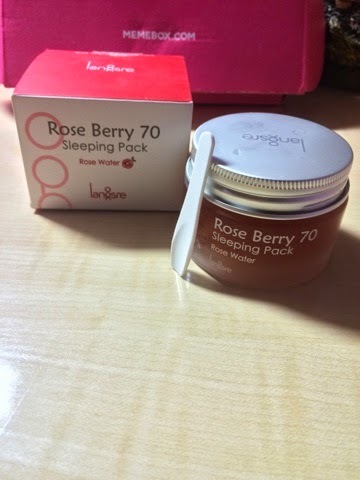 Apparently, a hydrating night pack formulated with rose water and rose petals. I was really excited when I saw this product in the box as the night pack I was applying prior was hitting the pan. I did apply this for almost a week and that is when I did have breakouts. The product did not not suit my skin at all. Earlier I was under the impression that it was due to some climatic change but when I stopped using the product the reactions subsided. I have not touched the product since then. 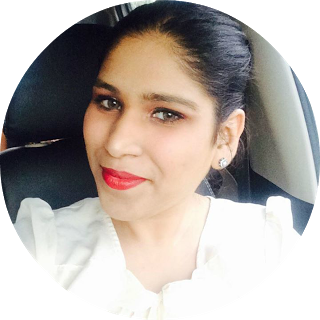 When I had used the product for a week, I did not any significant difference in my skin. The formula was quite hydrating but was very thick and would not get absorbed into the skin easily. I was aware that I did not have enough of Vitamin C based products and wanted to include some in my regime. So obviously I was more than happy to try it. I really wish though would have got a full size as I absolutely love this product. I have not included this a part of my daily routine as I am unsure if this would affect me the same way as the night pack by Langsre. This product takes a lot of time to get absorbed into the skin and make your face feel a bit sticky till the time it is well absorbed. I have applied this product for nearly a month and my skin appears to be more brighter and tighter. If you have any spot marks it would not get rid of it but would definitely lighten it. All in all a good product until now. 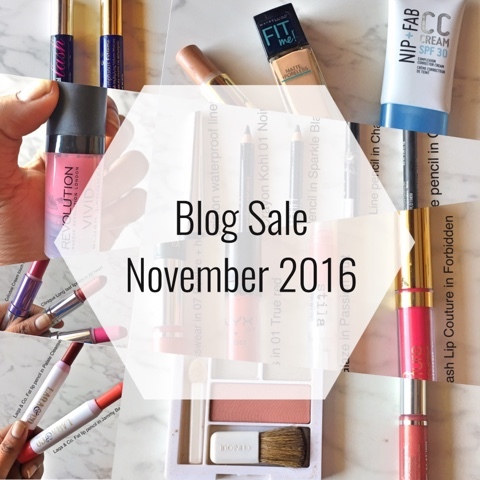 Tonymoly has had some of the best products which were loved by the masses. Tonymoly BCDation is not an exception when it comes to this aspect. BCDation stands for BB cream, CC cream and foundation. It has a light texture so does not make you feel greasy like some of the BB and CC creams. The product blends in and after settling matches the color of the skin. It does not have yellow undertones so would not match most of the skin tones. It doesn't settle in fine lines and gives a clear skin effect. As per its claim it has the benefits of all three. It works well as a BB cream and a CC cream but has a light coverage so would not be an apt foundation for me. Only a grain sized amount is enough to cover the entire face since too much use of it can give you an ashy look. The lasting power of this product is amazing, it can stay upto 6-7 hours without applying some powered foundation on it. Overall Verdict: Excluding the Langsre all the other products were brilliant. 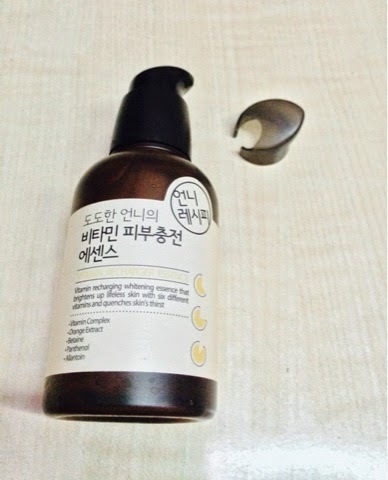 Loved the Tonymoly and the Unni Vitamin essence. Rest of the products were fabulous but I am really hooked on these two much more than the rest of them as I use them daily. Even I was pretty sad about it... However the Vitamin Essence was the cherry on the cake.. I'd say it's a really nice box! I'd love to play around with the pigment.